I don’t know about you, but every year it seems like we have a crazy amount of turkey leftover after the Thanksgiving holiday, among other things, too, of course. 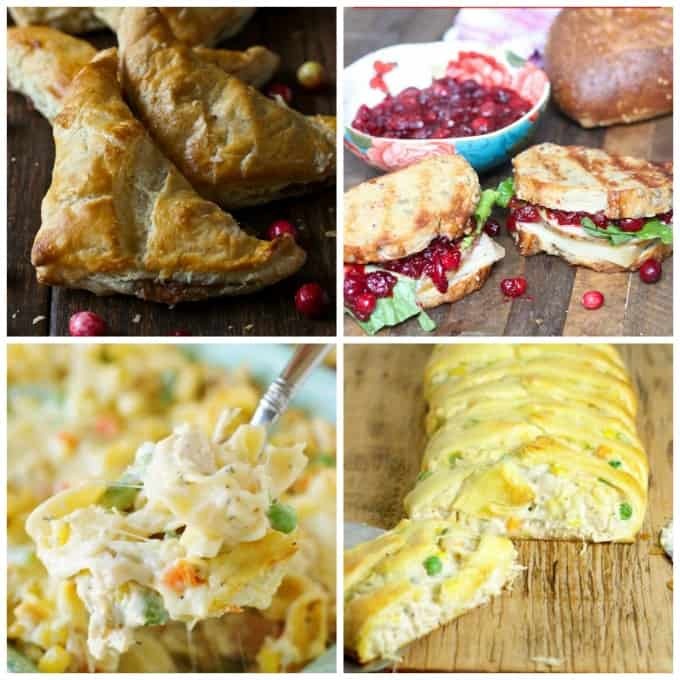 I’ve got 17 recipes you can take and repurpose those Thanksgiving leftovers for today. 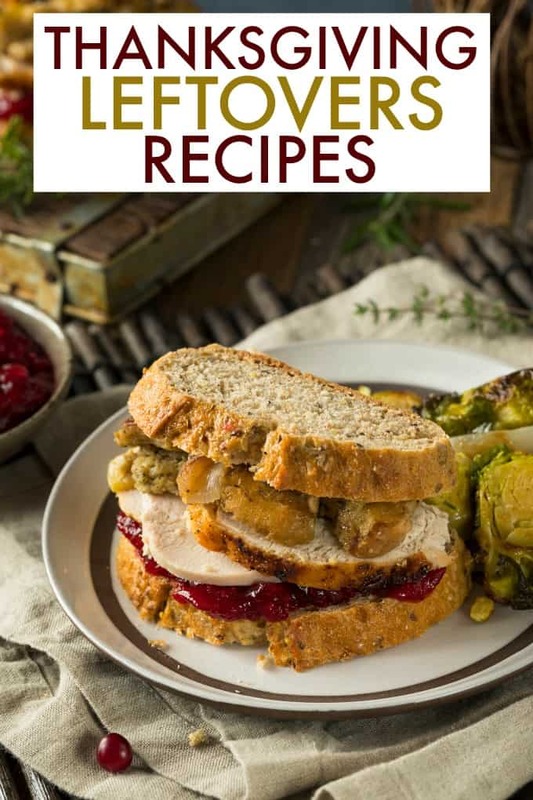 These leftover Thanksgiving turkey ideas range from sandwiches to entire meals, and there’s sure to be something that your family will love post-Thanksgiving Day. Be sure to bookmark your favorites and plan out some delicious after Thanksgiving dishes to make to use up all of those leftovers. You’ll be cleaning out the refrigerator in no time! For the slow cooker, make this Slow Cooker Leftover Turkey Chili from Everyday Savvy. Then, for a fun turkey twist, try these Turkey Broccoli Alfredo Quesadillas from Midlife Healthy Living. Here is a classic, Leftover Turkey Pot Pie from Stockpiling Moms. Our family loves this Turkey Noodle Casserole from The Kitchen Is My Playground. These Easy Turkey Enchiladas from Kids Activity Blog are always a favorite. Use your leftover turkey and cranberry to make these Leftover Turkey Sandwiches with Cranberry Sauce from The Organic Kitchen. Make this yummy Tetrazinni with leftover turkey, from Dancing Through the Rain. Turn your leftover turkey into a delicious Turkey Shepherd’s Pie from Kalyn’s Kitchen. Here is an easy favorite, Turkey Pot Pie Braid (sub turkey for chicken), from The Gracious Wife. Low Carb Yum has a delicious Leftover Turkey Stew recipe you could try. For an easy option, make these Turkey Crescent Bites from The Kitchen is My Playground. These Turkey Stuffing Turnovers from A Family Feast are delicious. These Southwest Turkey Wraps from Thrifty Jinxy are the perfect next day lunch using leftover turkey. For a really unique idea, make these Turkey Tacos with Cranberry Sauce from Its Yummi. You can make a whole new meal with this Leftover Turkey and Three Cheese Manicotti from Spaceships and Laser Beams. For another warm hearty dish, make this Crockpot Creamy Turkey and Dumplings from Stockpiling Moms. Finally, you can use your leftovers to make these delicious Leftover Turkey Paninis from It Is a Keeper! I also have a recipe for Turkey Thai Curry that works great for leftovers. Michele blogs over at Midlife Healthy Living. Make sure to check out her blog!